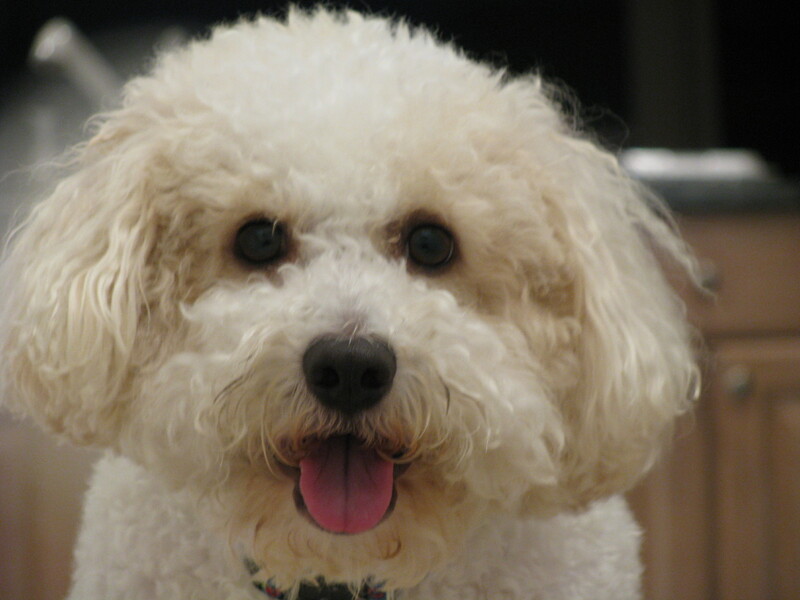 We are the proud owners of a Bichon Frise named Buddy. We adore him. He is not “the sharpest knife in the drawer” as my cousin Elaine likes to say, but he is the sweetest dog we have ever had. This past Sunday morning, Doug happened to notice that there were four enormous ticks embedded in Buddy’s snout. Horrified, he spent a couple of hours trying to remove them but was only able to uproot two. He gave Buddy a much needed break after that exertion and when it was time to try again, I moved toward Buddy to bring him to Doug…but he was not having it. He ran away from me as fast as he could. He didn’t realize that I was trying to help him. All he knew is that he didn’t want to experience such discomfort and pain again. Finally, we decided to take him to the emergency vet in town. The technicians were able to successfully remove the rest of the ticks and Buddy was as good as new. However, things were about to change for Buddy in ways he would not realize. When we took him on walks, we could no longer allow him to sniff and explore the higher grass since that is where the ticks thrive and latch on to him. The problem is that Buddy loved doing that. He buried his snout with abandon into the green grass and seemed to deeply inhale all the wonderful scents residing there. The first time I tugged on his leash to prevent him from going into the forbidden area, he was not pleased. He dug in and pulled back, leaning determinedly back toward the grass. So began a tug of war. Buddy is surprisingly strong for only being 22 pounds. Finally, he surrendered to the fact that he was not able to go where he wanted to and he stopped fighting me. However, he was not a happy camper. He was mad at me for the rest of the afternoon. He sulked. He sighed. He refused to sit next to me. I could not help thinking about the fact that I have often acted exactly like Buddy when God said no to something I wanted. How often I have pushed and pulled, sulked and steamed. Why can’t I have what I want? I would ask petulantly. I was trying to save him from danger but he didn’t know that. My knowledge is so much greater than his. It was my love for him that was the motivation for not giving him what he wanted. But Buddy didn’t see my love…all he saw was the no. Don’t we do that with our Heavenly Father? Focus on the no…and refuse to see all the times when He has said YES? If He is withholding something, it isn’t ultimately good for us. Even if we—in our very limited wisdom— think it is. That is when we reach a fork in the road. We either surrender to the infinite wisdom of our good and gracious Heavenly Father, resting in the fact that our finite minds simply cannot comprehend His infinite one. Or we run from Him, just like Buddy ran from me when I was trying to carry him to help. The ticks on his snout must have been painful but he was willing to live with that pain rather than run in the direction of healing. This life is too short to cling to bitterness about closed doors. Will you continue to dig in and insist on your own way? A much better plan is to release the pain, your expectations, your hurt feelings to your God. He loves you. He only gives what is best. Stop fighting Him. Adjust your pace to His. Let Him lead. He sees the big picture and He knows exactly where He is going. Yes, coming to Him for healing can sometimes hurt but ultimately it will set you free. That freedom is worth whatever you have to do to obtain it. Great lessons! I’ve learned such things from having kids, too!